Italo Gardoni (12 March 1821 – 26 March 1882) was a leading operatic tenore di grazia singer from Italy who enjoyed a major international career during the middle decades of the 19th century. Along with Giovanni Mario, Gaetano Fraschini, Enrico Tamberlik and Antonio Giuglini, he was one of the most celebrated Italian tenors of his era. Enrico Tamberlik was an Italian tenor who sang to great acclaim at Europe and America's leading opera venues. He excelled in the heroic roles of the Italian and French repertories and was renowned for his powerful declamation and clarion high notes. His voice was not large but it was exceptionally pure toned and sweet, lacking any disruptive vibrato. He sang legato passages with impressive smoothness but he could also dispatch florid music with flair and considerable agility. Parma is a city in the northern Italian region of Emilia-Romagna famous for its architecture, music, art, prosciutto (ham), cheese and surrounding countryside. It is home to the University of Parma, one of the oldest universities in the world. Parma is divided into two parts by the stream of the same name. The district on the far side of the river is Oltretorrente. Parma's Etruscan name was adapted by Romans to describe the round shield called Parma. Roberto Devereux is a tragedia lirica, or tragic opera, by Gaetano Donizetti. Salvadore Cammarano wrote the Italian libretto after François Ancelot's tragedy Elisabeth d'Angleterre (1829), and based as well on the Historie secrete des amours d'Elisabeth et du comte d'Essex (1787) by Jacques Lescéne des Maisons, although Devereux was the subject of at least two other French plays: Le Comte d'Essex by Thomas Corneille and Le Comte d'Essex by Gauthier de Costes, seigneur de la Calprenède. 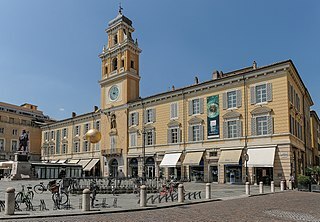 Viadana is a comune (municipality) in the Province of Mantua in the Italian region Lombardy, located about 120 kilometres (75 mi) southeast of Milan and about 35 kilometres (22 mi) southwest of Mantua. Benjamin Lumley was a Canadian-born British opera manager and solicitor. Born Benjamin Levy, he was the son of a Jewish merchant Louis Levy. Giacinta Toso (1807–1889),, Maman Puzzi, was an Italian operatic soprano who had a significant career in England during the 1820s and 1830s, before ill health forced her to retire from the stage. For over half a century thereafter, she and her husband maintained a musical salon in London through which many of the greatest musical stars of the age made their entry into musical life in England. La sonnambula is an opera semiseria in two acts, with music in the bel canto tradition by Vincenzo Bellini set to an Italian libretto by Felice Romani, based on a scenario for a ballet-pantomime written by Eugène Scribe and choreographed by Jean-Pierre Aumer called La somnambule, ou L'arrivée d'un nouveau seigneur. The ballet had premiered in Paris in September 1827 at the height of a fashion for stage works incorporating somnambulism. I puritani is an opera by Vincenzo Bellini. It was originally written in two acts and later changed to three acts on the advice of Gioachino Rossini, with whom the young composer had become friends. The music was set to a libretto by Count Carlo Pepoli, an Italian émigré poet whom Bellini had met at a salon run by the exile Princess Belgiojoso, which became a meeting place for many Italian revolutionaries. L'elisir d'amore is a comic opera in two acts by the Italian composer Gaetano Donizetti. 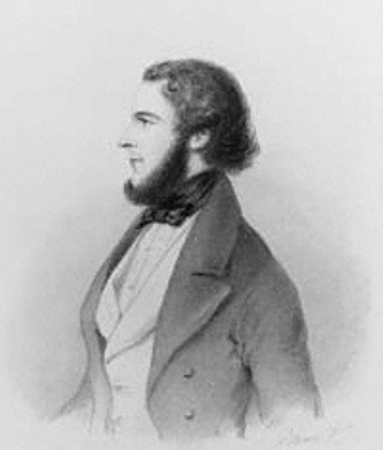 Felice Romani wrote the Italian libretto, after Eugène Scribe's libretto for Daniel Auber's Le philtre (1831). The opera premiered on 12 May 1832 at the Teatro della Canobbiana in Milan. Sophie Johanne Charlotte Crüwell, vicountess Vigier, stage name Sophie Cruvelli was a German opera singer. She was a dramatic soprano who had a brief but stellar public career especially in London and Paris in the middle years of the 19th century. She was admired for her vocal powers and as a tragédienne. Both Verdi and Meyerbeer created operatic roles with the intention that she should first perform them. Lucrezia Borgia is a melodramatic opera in a prologue and two acts by Gaetano Donizetti. Felice Romani wrote the Italian libretto after the play Lucrezia Borgia by Victor Hugo, in its turn after the legend of Lucrezia Borgia. Lucrezia Borgia was first performed on 26 December 1833 at La Scala, Milan. Gardoni married the daughter of baritone Antonio Tamburini and (his wife) the soprano Marietta Goja. He died in Paris. Giovanni Matteo De Candia, also known as Mario, was an Italian opera singer. The most celebrated tenor of his era, he was lionized by audiences in Paris and London. He was the partner of the opera singer Giulia Grisi. Henry Fothergill Chorley was an English literary, art and music critic, writer and editor. He was also an author of novels, drama, poetry and lyrics. Giorgio Ronconi was an Italian operatic baritone celebrated for his brilliant acting and compelling stage presence. In 1842, he created the title-role in Giuseppe Verdi's Nabucco at La Scala, Milan. Thérèse Carolina Johanne Alexandra Tietjens was a leading opera and oratorio soprano. She made her career chiefly in London during the 1860s and 1870s, but her sequence of musical triumphs in the British capital was terminated by cancer. Italo Campanini was a leading Italian operatic tenor, whose career reached its height in London in the 1870s and in New York City in the 1880s and 1890s. He had a repertoire of 80 operas and was the brother of the orchestral conductor Cleofonte Campanini. Edward Lloyd was a British tenor singer who excelled in concert and oratorio performance, and was recognised as a legitimate successor of John Sims Reeves as the foremost tenor exponent of that genre during the last quarter of the nineteenth century. James Henry Mapleson was an English opera impresario, probably the leading figure instrumental in the development of opera production, and of the careers of singers, in London and New York City in the second half of the 19th century. Willoughby Hunter Weiss was an English oratorio and opera singer and composer. He became one of the most celebrated bass singers of the 19th century, and sang in the premieres of many English works. Antonio Giuglini was an Italian operatic tenor. During the last eight years of his life, before he developed signs of mental instability, he earned renown as one of the leading stars of the operatic scene in London. He created several major roles for British audiences, appearing in the first London performances of Gounod's Faust and Verdi's Un ballo in maschera. In London, he was the usual stage partner of the great dramatic soprano Thérèse Tietjens. Helen Lemmens-Sherrington was an English concert and operatic soprano prominent from the 1850s to the 1880s. Born in northern England, she spent much of her childhood and later life in Belgium, where she studied at the Brussels Conservatory. After engagements in mainland Europe she made her London debut in 1856. Her singing career was mostly in concert, but in the first half of the 1860s she appeared in opera at Covent Garden and other leading London theatres. John Sims Reeves, usually called simply Sims Reeves, was the foremost English operatic, oratorio and ballad tenor vocalist of the mid-Victorian era. Karl Johann Franz Formes, also called Charles John Formes, was a German bass opera and oratorio singer who had a long international career especially in Germany, London and New York. At one time extremely famous and in the forefront of his profession, several roles were composed for his voice, most notably that of Plunkett in Flotow's opera Martha. Jeanne-Anaïs Castellan, born in Beaujeu, Rhône on 26 October 1819, died in Paris 1861, was a French soprano. She is most notable for creating the part of Berthe in Le prophète by Meyerbeer. ↑ See short biography in Italian, "Archived copy". Archived from the original on 4 June 2011. Retrieved 4 November 2009. CS1 maint: Archived copy as title (link).De Cesari studied singing at Piacenza, and then at the Music Lyceum in Bologna. From 1820 he was singing teacher at the College of St Augustine at Piacenza, and, becoming a fine singer, was summoned as tenor to the Ducal Chapel in 1830 and was made stipendiary virtuoso da camera of Maria Luigia. Two years later he began teaching in Parma and at his death had become a citizen there. ↑ Rosenthal and Warrack (1974), p. 146. ↑ Basil Walsh, 'Balfe in Italy', Opera Quarterly Vol. 18.4 (Autumn 2002), 484-502. ↑ E.g. Théophile Gautier, Histoire de l'Art dramatique en France depuis vingt-cinq ans, Série 3, p.305 (facsimile edition Elibron Classics, Adamant Media Corporation) . ↑ A. H. Blaze in Revue des Deux Mondes, 15 December 1844, Vol. 8, p 1106ff. ↑ Elizabeth Forbes, Biographical notice (see external link). ↑ Mrs Pitt Byrne, Gossip of the Century (Downey, London 1899), II, 185-191. ↑ Benjamin Lumley, Reminiscences of the Opera, pp.171-173. ↑ Lumley Reminiscences, 178-79, 181-82. ↑ Lumley Reminiscences, 185-86, 189. ↑ For two engraved scenes, see 'The Theatres', Illustrated London News 31 July 1847, p. 77 (Pdf 4/27). ↑ Julian Budden, The Operas of Verdi (Cassell), vol 1, p. 314. ↑ Charles Santley, Student and Singer. The Reminiscences of Charles Santley (Edward Arnold, London 1892), p. 162. ↑ Charles E. Pearce, Sims Reeves: Fifty Years of Music in London (Stanley Paul & Co., London 1924), 115-122. ↑ Ferris 2008, p. 93. ↑ See external link "Archived copy". Archived from the original on 5 December 2008. Retrieved 4 November 2009. CS1 maint: Archived copy as title (link). ↑ Lumley Reminiscences, 304, 308, . ↑ Lumley Reminiscences, 335, 342. ↑ H.F. Chorley, Thirty Years' Musical Recollections (Hurst & Blackett, London 1862) Vol II, 252. ↑ H.F. Chorley, Thirty Years, II, 275. ↑ A. H. Blaze, Revue des Deux Mondes, 1 July 1867 (PDF page 8). ↑ Elizabeth Forbes, Gardoni biography (see external link). ↑ Chorley Thirty Years, 314. ↑ J. H. Mapleson, The Mapleson Memoirs 1848-1888 (Belford, Clarke & Co, Chicago 1888), Vol. I, p. 2. ↑ Mapleson 1888, I, 146. ↑ Mapleson 1888, I, 95. ↑ Santley 1892, 240; Mapleson 1888, 94-95. ↑ Herman Klein, Thirty Years of Musical Life in London (The Century Co., New York 1903), 154. ↑ Richard Osborne, Rossini: His life and works (OUP (US) 2007 (2nd Edn)), p. 159. ↑ Rosenthal and Warrack, Concise Oxford Dictionary, 'Tamburini' entry. New York Times 14 May 1882: Notice of Gardoni's death from the London World.